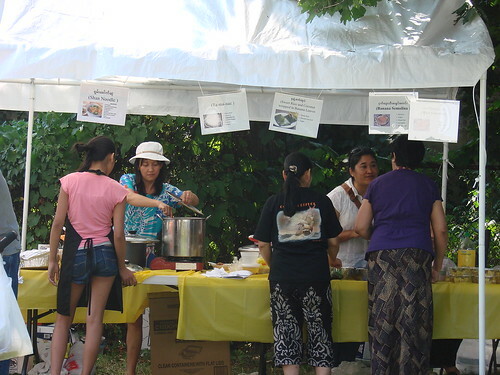 Blondie and Brownie: The Myanmar Baptist Church Food and Fun Fair is this Weekend! 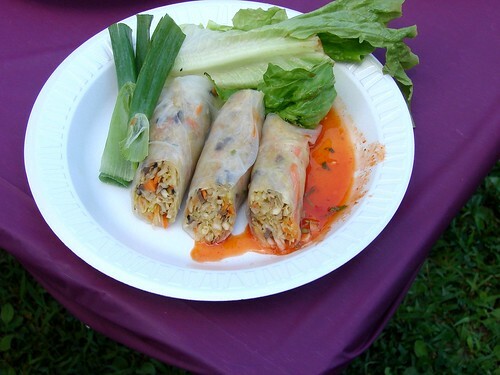 The Myanmar Baptist Church Food and Fun Fair is this Weekend! The event is usually held in the summer but this year they had to postpone it until the fall. Why is this event so exciting? Well, you don't often find Burmese food in the city and this is high quality home cooked yumminess. 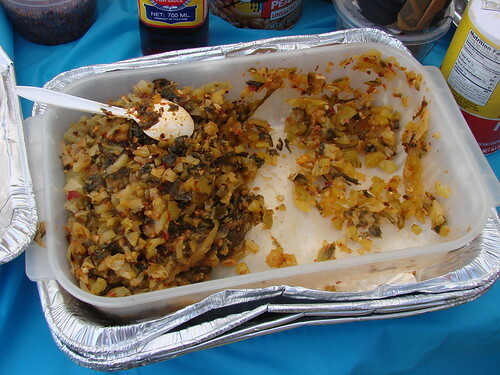 Before my first Fun Fair experience a few years ago I was completely unfamiliar with the wonder that is Burmese food. It's a geographic center for deliciousness. Myanmar is bordered by China on the northeast, Laos on the east, Thailand on the southeast, Bangladesh on the west, and India on the northwest. 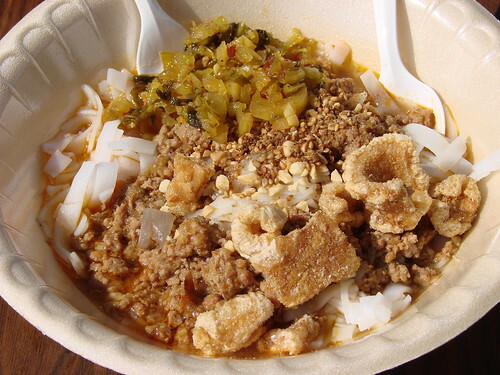 As you can imagine there are all sorts of interesting influences in Burmese cuisine. Tips: Bring cash and your appetite. Food tickets are $1 each and different dishes have different ticket prices. 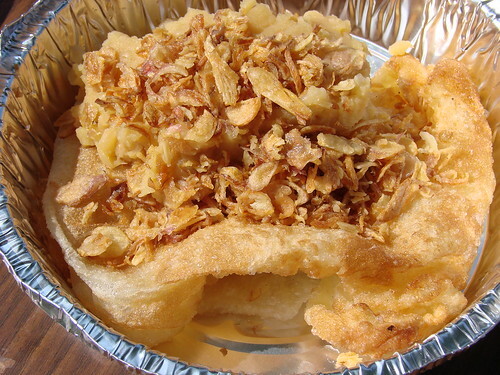 One of the most popular dishes at the fair by far is the fresh fried paratha bread. If you want to give it a try you'd best put your name on the list when you first arrive. You have to pay in advance and get a ticket to reserve your spot. Each bread is made to order so the wait is LONG. The event has been growing in popularity with food lovers from all backgrounds and for the past couple of years they've outfitted the tables with illustrated signs in English with photos of the dishes. The parish community is warm and welcoming and did I mention that I love the food? If you've been in the past take note of the NEW location! DATE: 13 OCTOBER, 2012 (SATURDAY). LOCATION: FIRST BAPTIST CHURCH, 100-10 ASTORIA BLVD. EAST ELMHURST, NY 11369. BY CAR: ASTORIA BLVD (BETWEEN 100 & 101 STREET) LIMITED PARKING AVAILABLE. BY TRAIN/BUS: 7 LOCAL AT 74TH STREET JACKSON HEIGHTS TRANSFER TO Q49, TO 102 STREET AND ASTORIA BLVD. OR AT 103 STREET CORONA PLAZA TRANSFER TO Q23, TO 101 STREET AND 31ST AVENUE.